ARCHITECTURE +, Chartered was founded in the Wood River Valley in June of 1986 with its goal the provision of very personal and professional architectural design services specializing in custom single-and multi-family residential and light commercial and institutional design. Steve Pruitt, AIA, as Principal, draws on the experience of over thirty years in the practice of architecture in the Wood River Valley and the Northwest to offer quality design service. The Sun Valley area offers a unique opportunity to develop and execute architectural concepts specific to the residential market as well as resort commercial and institutional projects. Over the years, we have had the opportunity to expand our practice beyond the confines of this resort community and design notable commercial, institutional, and residential projects in the Southern Idaho / Northern Nevada / Western Washington / Northern California regions. 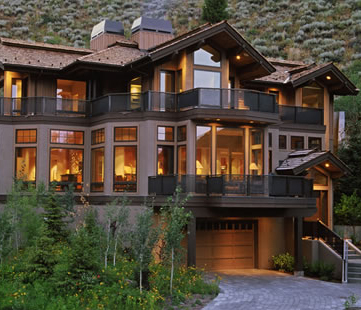 ARCHITECTURE + is an Idaho professional corporation and is maintained as a two to three person firm. We feel that this size of firm is most able to respond to typical workload situations and still provide the personal attention we feel is critical. Additional contract design and drafting services and personnel are utilized to adapt to seasonal workload variations. This mix offers a broad range of expertise and associated billing rates, thus cost effective design services. The design philosophy of ARCHITECTURE + involves a comprehensive Programming Phase in order to outline the project criteria. Client needs are paramount, as are the building function, long term maintenance factors, budget, and overall value. A strong programming effort at the beginning of a project can assure that the building will meet the needs of the user now and in the future. Prioritization of needs, analyzing phasing plans and future expansion needs should be documented in this phase. ARCHITECTURE + prides itself in that we do not come to the client with stylistic preconceptions or ‘off-the-shelf’ solutions. We initiate the design process by getting to know the client’s needs, both functionally and psychologically. Superior communication is the key. The firm is fully computerized, incorporating three Computer Aided Design and Drafting (CADD) stations into the design environment. We are utilizing state of the art ArchiCAD CADD software that is tailored specifically to the practice of Architecture. Ninety plus percent of our work in all phases of Design and Development of Construction Drawings is executed on the computer. The computer format can allows us to quickly produce rendered interior and exterior perspectives at any stage of design. It offers both the design team and the client a valuable tool for visualization of the project design and allows rapid, accurate development of the construction drawing package. Revisions, that are typically so time consuming in manual drafting, are made easily, accurately and with greater control and clarity. The input and output of our system is fully compatible with AutoCad and other PC and Macintosh based CAD systems utilized by the majority of consulting engineers. Other office support software includes: Microsoft Office (Word & Excel), Photoshop & other design and rendering software. ARCHITECTURE + believes in a strong team approach to the solution of any design challenge. This applies to our office organization as well as to the Client / Architect / Consultant / Builder relationships. Again, well-established lines of communication and documentation are very important. Each team member must fully cooperate and participate to assure the successful completion of the project. Our design work has been featured in ‘The Log Home Book’, ‘Timber Frame Magazine’, ‘Veterinary Economics Magazine’ and has received awards from the Building Contractors Association of the Wood River Valley. Visit our web site at www.archplus-sv.com featuring photo examples of our residential design projects. Past Member, Board of Directors Laughing Stock Theatre, Inc.